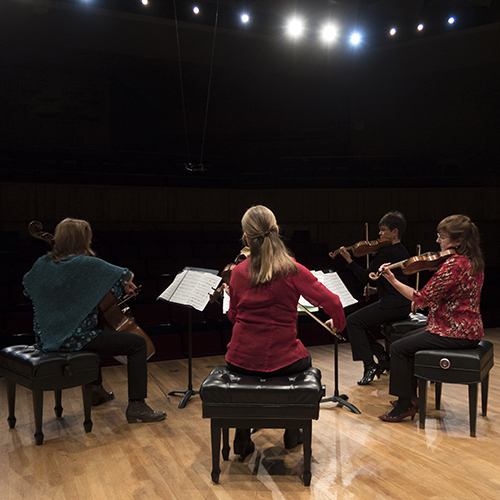 Since 1986, the members of the Lafayette String Quartet have divided their time between entertaining audiences all over North America and Europe and teaching some of Canada’s finest young string players. Among the elite of Canadian pianists, Bruce Vogt is a unique and dynamic performer. He appears regularly in concert within Canada, but has also inspired audiences in England, the USA, Germany, France, Italy, Norway, Czechoslovakia, Bulgaria, China, and Japan. Yariv Aloni is the music director of the Victoria Chamber Orchestra, the Greater Victoria Youth Orchestra and the Sooke Philharmonic Orchestra. He is also appearing frequently as principal guest conductor with the West Coast Symphony Orchestra in Vancouver and the Civic Orchestra of Victoria. He was the founder and music director of the Galiano Ensemble of Victoria for 18 years. Former violist of both the Penderecki string quartets and the Aviv piano quartet, he has performed in many concert halls around the world.